Camera Charges / Jeep Safari / Camel Safari / Elephant Ride Charges other then itinerary. Arrival at Kathmandu International airport. Meet & welcome by our representative & transfer to hotel. Welcome drink followed by tour briefing. Rest of the day is free for personal activities. Overnight in Kathmandu. Breakfast & proceed for the half-day sightseeing tour to Kathmandu valley covering Pashupatinath templeholiest and oldest Hindu temple, Boudhanath stupa one of the biggest stupa of the world and Swoyambhunath stupa known as monkey temple oldest Buddhist stupa situated on a hillock overlooking Kathmandu valley and eastern Himalayan ranges. 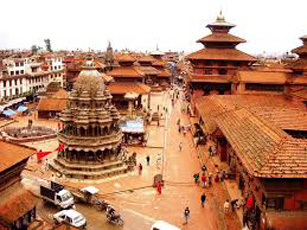 Return & checkout from the hotel and drive for Nagarkot. 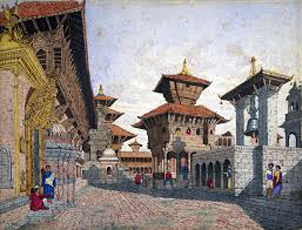 En-route visit Bhaktapur Durbar Square. Finally arrive Nagarkot at about 2,100 meter from the sea level and check into the hotel. Enjoy hiking around the villages, view the beautiful Himalayan ranges with green hills and valleys. Overnight stay at resort. Wake up early Morning to witness beautiful view of Himalaya with sunrise. Breakfast & drive for Pokhara( 235KM / 7 hours ) observing the scenic views on the national highway along the Trishuli River. Upon arrival, check into the hotel. Evening walk around the tourist area of Lake Side and enjoy the view of western Himalayan ranges with Mt Fishtail. Return to hotel and overnight. Transfer to Pokhara airport for flight to Jomsom. Arrive Jomsom after about 30 minutes unique flight & transfer to the hotel. Check in & get refreshed and visit around Jomsom village - Kali Gandaki Saligram area, Museum etc. Overnight stay at hotel. Breakfast & proceed for full day local Marpha village sightseeing on Pony/ local jeep. 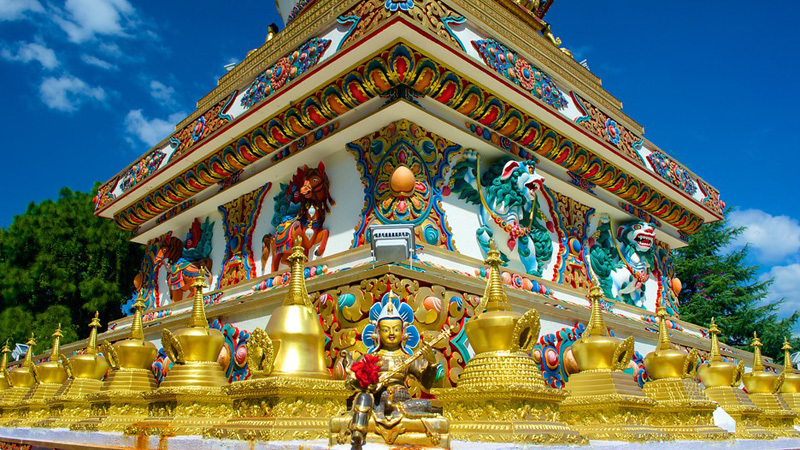 Visit unique Marpha village, including monastery, apple farming etc. Return to Jomsom and rest of the day is free to explore your own. Overnight stay at hotel. Wake up early to witness the breathtaking sunrise and Himalayan view from your hotel rooftop. After breakfast, leave for sightseeing tour of Pokhara valley covering Davi's Fall, Tibetan Refugee Camp, Seti gorge & Fewa Lake with1 hour boat ride on Lake Fewa. Rest of the day visit around Lake areas. Return to hotel & overnight. Breakfast & flight back to Kathmandu. Arrive Kathmandu and check into hotel. 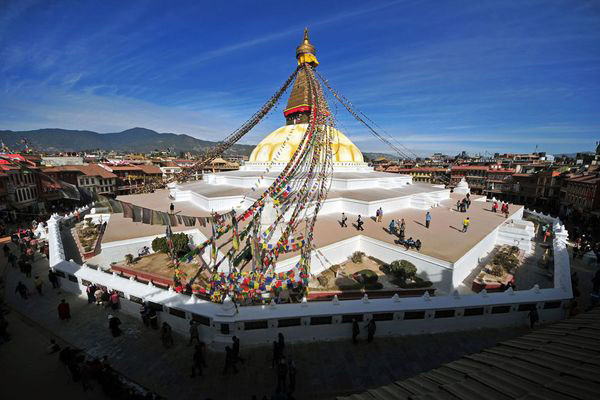 Rest of the day is free for personal activities – shopping, visiting around tourist hub of Thamel etc. Finally return to hotel & overnight. Breakfast & check out from hotel. Timely transfer to the airport for flight to your onward destination. During major events, accommodation may not be in the city mentioned. Sequence of itinerary is subject to change without prior notice. All the above quoted prices are in INR, valid for Indian Nationals only and are correct at the time of pricing but are subject to change without prior notice. As many components of tour packages are not SMITE Tour's owned property, it is beyond its mean to prices as per the validity shown. All the tour & land arrangements which may be guaranteed are subject to SMITE Travels inability to provide the same as result of act of Government or such authorities, civil disturbances, strike as a result of any other causes beyond SMITE Travel's control. SMITE Tour & Travel shall incur no liability to provide any services confirmed if such inability is due to, any of the cause listed above and no refund shall be made on the part or full payments received by us. In the unlikely event, the Hotel / Resort Safari camp booked is unable to accommodate reconfirmed reservation for whatsoever reason, the properties as booked shall undertake the responsibility of accommodating the business in alternative property of equal ranking as far as possible. Any extra expense incurred during this process is not the responsibility of SMITE Tours & Travels. 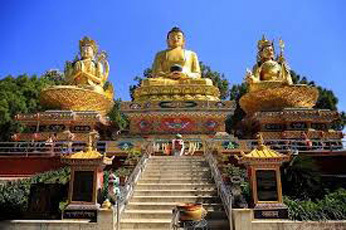 SMITE Tours & Travels will of course help in this process to the best of its ability taking the interest of principles in mind. Reservation of hotel & other tour land arrangement are confirmed by SMITE Tours & Travels subject to receipt of deposits. Advance payment of 40% of the total tour-land costs including Hotel must be received by SMITE Tours & Travels at least a week prior to the groups scheduled arrival date. 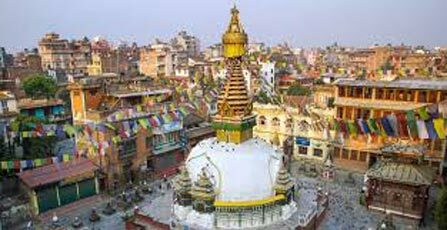 Complete payment is to be made before day of arrival to Kathmandu unless prior credit arrangements have been made with us. 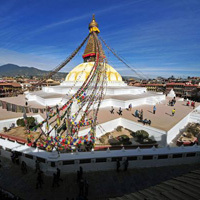 Accomodation in Kathmandu will be Star Category as mention on tour Category. However we used to match similar category in other destinations beside Kathmandu because we have no proper star rating hotels in other small cities of Nepal like Pokhara / Chitwan / Nagarkot etc. Hotels mention in table are subject to available. In case of unavailability, we will provide similar category hotel. Reservations may be made through e-mail, telex, fax or telephone clearly stating the services required. We take the undertaking process for this reservation and duly confirm the arrangements. The final reconfirmation is required as per the schedule under "Naming & Rooming list". Christmas and New Year supplement cost will be added extra in the given cost. The exact rates will be confirmed at the time of bookings only as per the hotel systems. For all the land tour arrangement, we will provide you one person complimentary on tour plan, for every 15 full paying guest in a tour. Complimentary or discount accommodation shall be made on a twin sharing basis not in a single occupancy basis. 60 - 30 days prior to departure 10% of the tour cost. 14 to 7 days prior to departure 40 % of the tour cost. 6 days or less no refunds. Our cancellation policy applies in every instance. There will be no exception for any reasons therefore we strongly recommend that you purchase trip cancellation insurance. This low cost insurance protects all deposits and payments should you have to cancel your trip due to personal or family illness. Should you or anyone in your choice purchase this insurance, please deal directly with the insurance company. Baggage and accident insurance are also available. Round trip airfares from your starting location and back, some city meals, passport and visa fees, tips for guides and trek staff, any medical check-ups, treatment, evacuation and immunization, insurance of any kind, excess baggage charges, airport taxes and any other items of a personal nature are not included in land costs. The airlines are not to be held responsible for any act of omission or event during the time passengers is not on board their planes or conveyances. The passenger contract in use by the airline, when issued shall constitute the sole contract between such purchase of these tours and or passenger. Such contracts are subject to the laws of the countries involved. By making reservations with SMITE Tours & Travels or its associates and depositing your advance payment with us, our agents or representatives, you agree to each of the foregoing terms and conditions and agree that you are thereby bound. You also acknowledge that you have carefully read and understood the foregoing terms and conditions. 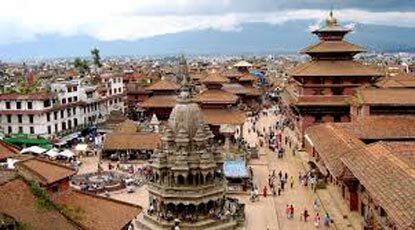 Destinations Covered : Kathmandu, Pokhara, Chitwan, Nagarkot, J..
Hil And Mountains L Of Himalaya Of Nepal T..